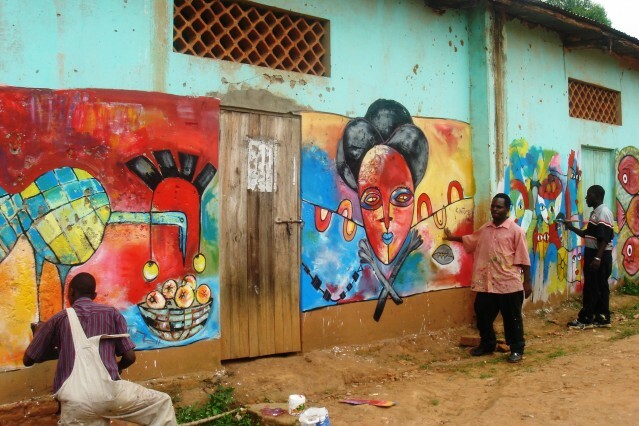 Contemporary Ugandan art has historically been influenced by formal educational institutions. Thereby produced a generation of famous artists, whose practice also has been nurturing the current generation. Despite its current success, the arts scene has achieved a lot but lacked a permanent centre for the visual arts. 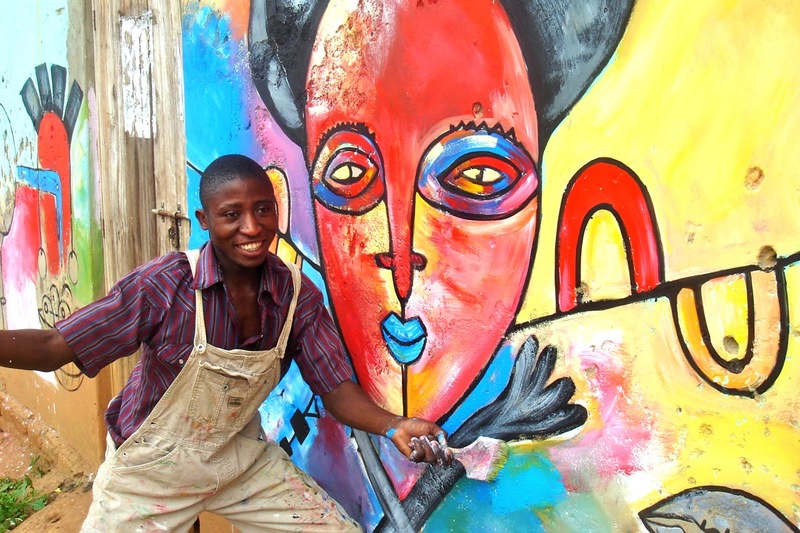 In our neighbouring countries, Kenya and Tanzania, one can locate several art centers which includes both practicing visual artists in their studio and a gallery space. 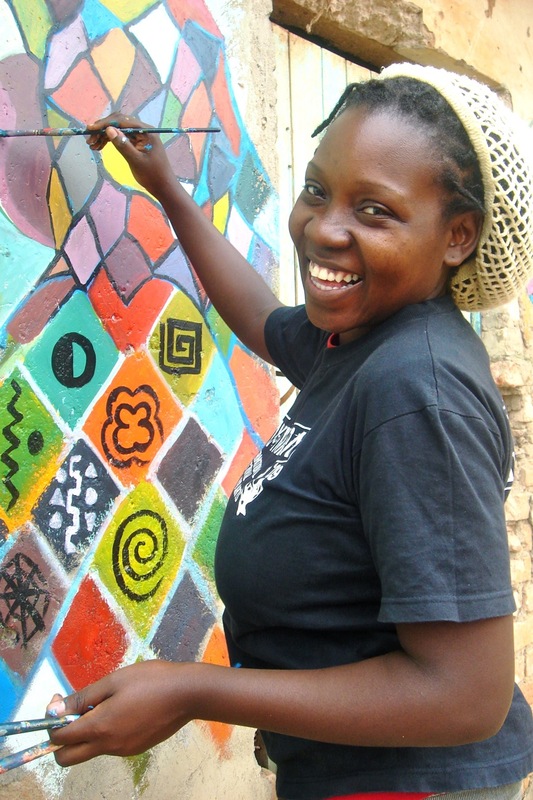 The established art scene in Uganda can identify none but the National Theatre and Craft Village, whose centers are mostly filled with Kenyan crafts. The Weaver Bird Artists’ Village is an idea coming to life these days. It was initiated in 2010 and is developing this year. 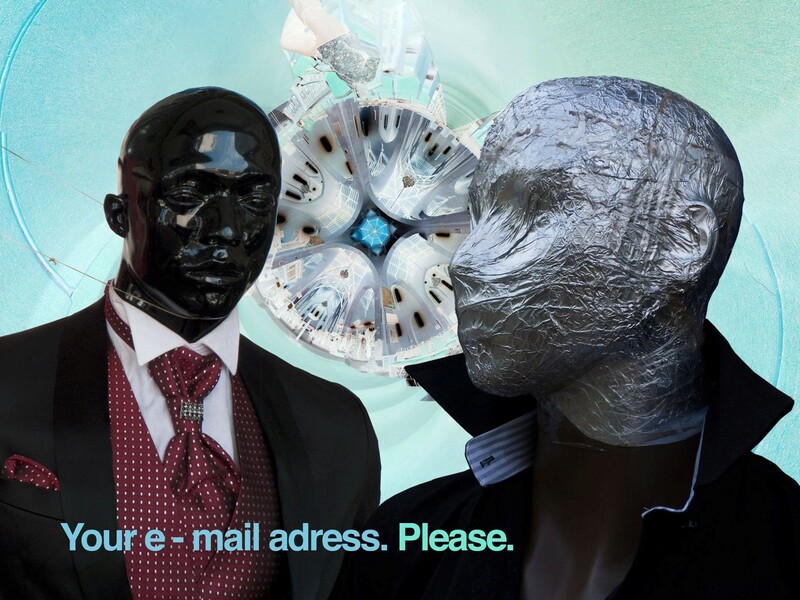 The main goal is to establish an identity to the contemporary art industry. 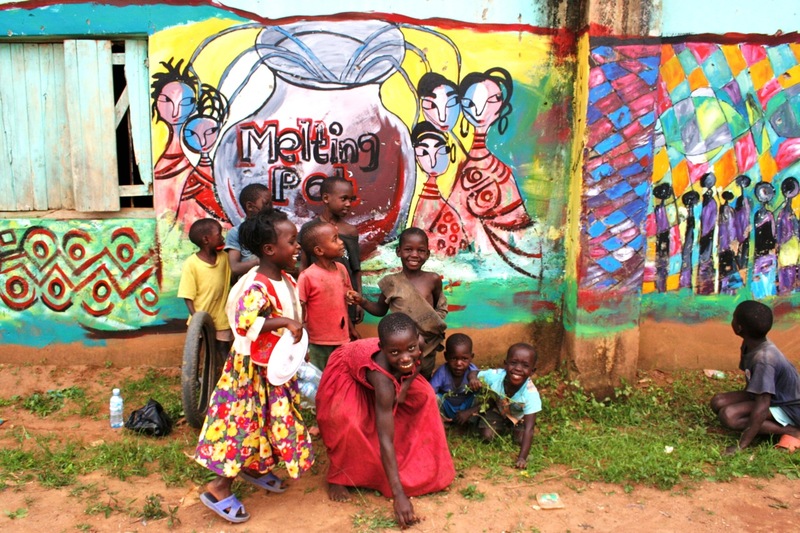 By doing so, the initiative will help artists reexamine their existing assumptions, values and concepts of art making. 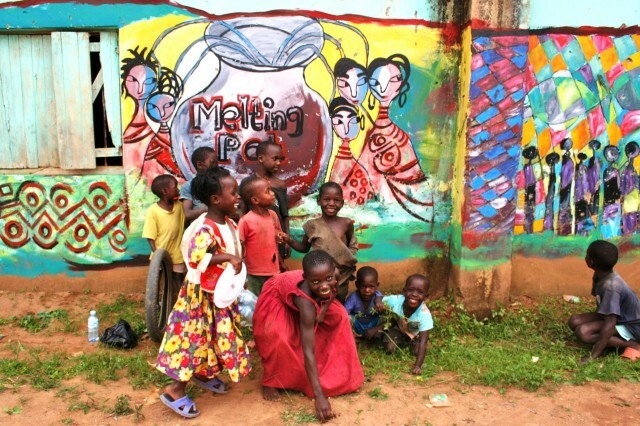 The creators of Weaver Bird also hope this first Artists’ Village in Uganda can act as a resource center for up-and-coming artists, both students and non-students, and help them developing skills and achieve their artistic goals. Established artists in residencies or professional artists visiting the village’s workshops may provide hands-on advices for the emerging talents. Currently, Weaver Bird as a community consists of a number of projects such as international artists’ workshops and residencies, a community arts centre, a handcrafts project, a youth cultural troupe, and a children’s library. The creators of Weaver Bird are confident that such a mix of concepts needs to be developed to let the Village gain its momentum. The workshops and residencies project will host local and international artists. They will use their artistic skills to contribute to community development and environmental protection through designated programs and activities that will be run by the center. The Weaver Bird Community Arts Centre will host and promote community based activities that inspire and stimulate the children, the youth, the women and the people with disabilities in the community. These services and activities will be extended to other talented people outside the community who do not have the resources to carry out or get audience to share their ideas with the Weaver Bird resident artists. This project consists of women and disabled people who use their hands to craft. They will learn new skills of creating functional art, thereby making them able to earn a living other than depending on subsistence farming. The latter often provides just scant income, yet requires much energy and maintenance. Apart from earning a basic living, the project aims to empower women by earning their own money and therefore reduce dependency on their husbands. This also brings an extra income into their home, which leads to improvement of lives and economic well-being of the community at large. By using of different waste materials to make their crafts, this project also helps protecting the environment. There is a focus on recycling used materials like newspapers, magazines, plastic bags and sacks and many more which might be harmful to the environment. The Ndegeya Youth Cultural Troupe is an established youth group. This particular project aims at honing these talents of the community by promoting this youth culture. The group will rehearse in the Village and carry out performances at the Community Arts Center. In this way, local and foreign tourists will have a chance to see them perform folk dance, music and drama. By doing so, the troupe will be exposed to new audiences that helps them attain greater heights. And who knows, maybe one day moving them to national or even international level. An introduction to the Youth Cultural Troupe has given a lot of young, unemployed kids a chance to share their talent and make themselves useful in the society, instead of being idle. 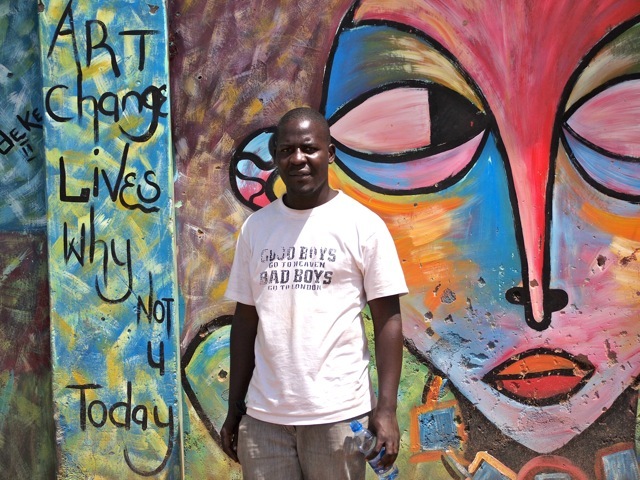 The Collin Community Children’s Library is another initiative that was started by Collin Sekajugo. 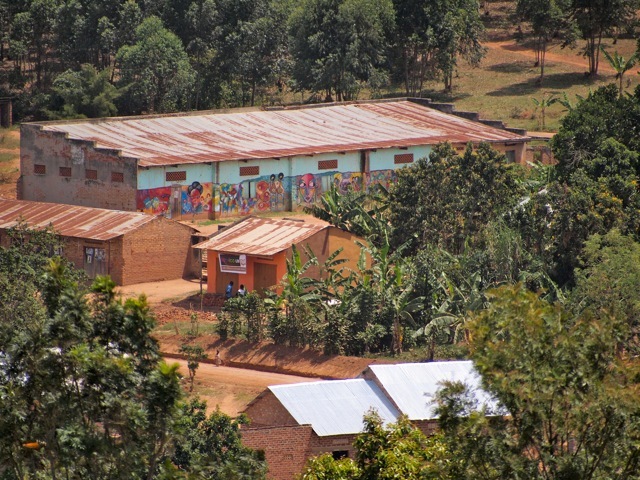 The vision is to empower community children and encourage them to embrace education by providing scholastic resources. This will help them to enhance their literal skills thus reducing the strain on their parents who can hardly afford to sustain their children in school. Collin has been collecting books and scholastic materials from the US and the UK. These resources will be used and read by the children in the community, thereby improving their literacy level. Ultimately, the vision is to help poor children to access resourceful educational material and knowledge that they cannot get in their conventional schools. The creators of Weaver Bird hope to launch and develop all these projects throughout the year. At the same time, the plan is to develop and introduce other projects that help Weaver Bird Artists’ Village accomplish their goal. The readers of Startjournal.org will be the perfect crowd to ask for recommandations and advices of how to make the Village work. 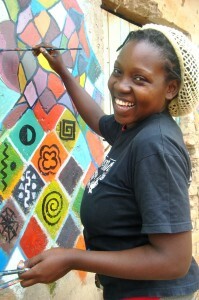 Sheila Nakitende is a professional visual artist working at @rtpunch studio and a manager of Tulifanya gallery. Aggrey Nuwamanya is a professional Economist and a Freelance writer. Any Project that enables the women and the youth develop their talents while giving them a chance to make a positive impact on the their economic lives and the community, is a project worth pursuing. The mindsets of these two groups (Women and Youth)are ripe with ideas and innovation and a platform like this would be the best avenue to help them attain their personal development. This is a very encouraging start and more exposure is needed in order to have it attain its objectives.